Every gardener is familiar with failure. Seeds don’t germinate, pests take over, things just don’t grow, you name it. Over the weekend I sat on my back porch staring at bare soil, willing my tomato seeds to sprout. I was looking failure in the face (or so I thought). Just a few days earlier I found myself contemplating a heavy wooden trellis laying flat, like a lid, across the garden bed holding my biggest cabbages. The plants sustained considerable damage with many leaves cracked and broken. It looks like they are going to recover, but my heart fell into my stomach as I surveyed the broken mess. All this failure got me thinking about, well, failure, but also success. Fortunately, in the garden I fail gracefully. I feel the range of emotions that comes with failing, but do so without judgement. I can pick up my feet and learn from my mistakes without too much regret or self-criticism. My garden is an easy, safe place to fail because nothing has been lost except time (sometimes a lot of time) and the promise of fresh food gracing a future meal. The garden is a great place for failure because it is also an easy place to see success. 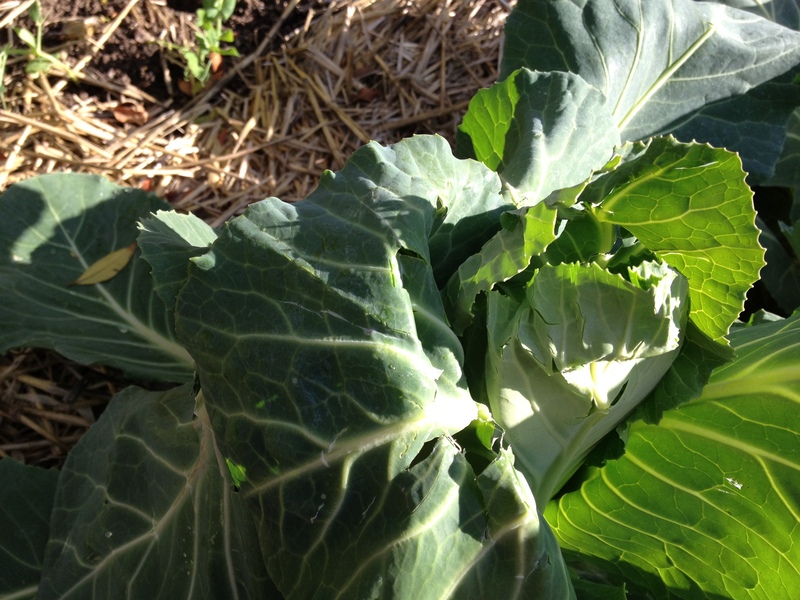 In the same week that I wrung my hands over tomato seeds and cabbage leaves, my daughter drew my attention to some of these successes emerging from the soil. A few months ago I threw a couple of sprouting potatoes into a large pot and covered them with soil. As we dug these potatoes out E squealed, “That is AMAZING!” Her excitement and pure delight was evident in her voice. And, just this morning, the first thing she did when we went out back was to check to see if any of the pea blossoms were dying, meaning that the tiny little pods would just be emerging. Then over dinner she reported the status of the pods to C (my husband). She can’t wait to eat peas! 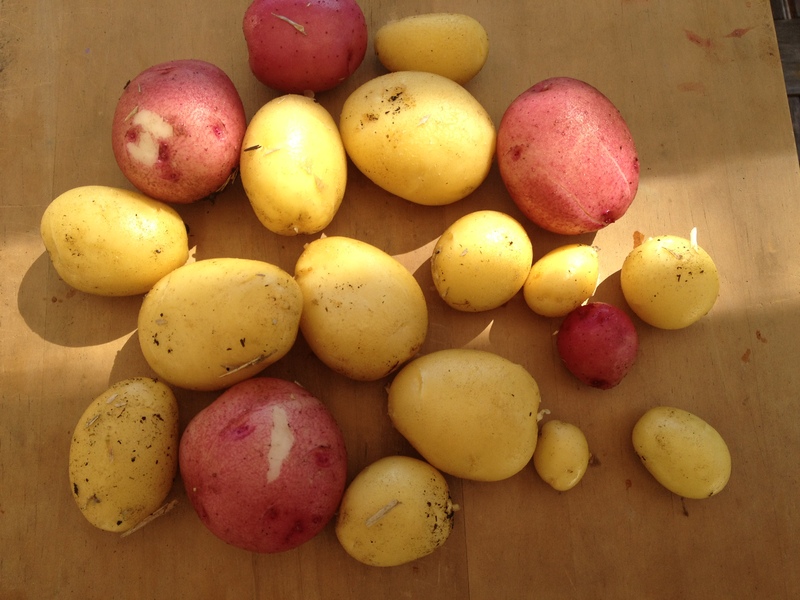 In one week I mourned broken cabbage leaves, fretted over tomato seeds I wasn’t sure were going to germinate, dug up beautiful potatoes, and searched for the tiniest pea pods with my 5-year-old daughter. My failures as a gardener were clearly balanced with the successes. I begin this new week a better gardener. Outside of the garden I am not as easy on myself. But after this week’s reflection, I can look at the garden metaphorically in the way I would like to look at myself: an imperfect amalgamation of successes, failures, beauty, and everything in between. Thanks for the reminder. I think sometimes we forget that failures can be a great learning opportunity. Something didn’t work out the first time so we try again (perhaps in a different way) the next time around. I have to constantly remind myself that tomorrow is a new day and with that a new opportunity to succeed. Thanks for the positive affirmation this morning! Your so welcome, Sandrea. This is something I loose sight of all the time. I partly wrote this piece to remind myself how constructively I can take failure in the garden, something I am working on doing more often outside of the garden :). Gardening really is a balance of failure and success, and you are right to focus on the good things and try and work out what went wrong with the others! Besides there is always next year…. It’s also a lovely reminder of the important of diversification of crops (interests?). While I imagine you could acquire vegetables elsewhere, even in the face of a tomato failure, the potatoes and peas still provide sustenance. Our modern agriculture system as well as overall culture has neglected polyculture– grow corn! find your passion (never mind a balance of skills and flexibility)!